Banana! 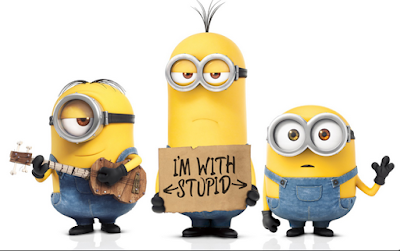 In the holidays I watched the Minions movie at home because I was bored. I thought it was actually a little bit funny. My favorite part of the movie was when Kevin turned into a giant. He was as big as the sky tower. He grabbed the rocket and put it in his mouth. The rocket blew up inside. “Oh no, he’s dead” though the minions but he was still alive. The other parts were all right but I didn't like them as much .